1 box = 8 waterproof single-serving packets. Drink 1packets per 500ml (16oz) of water. Designed to help you start hydrated. 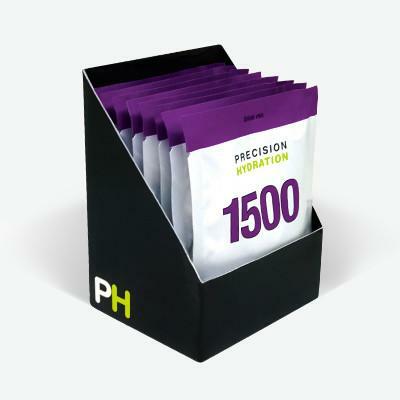 Typically used by athletes with average sweat sodium losses when competing, or by athletes with lower losses when exercising in more extreme conditions. Helps you absorb & retain more fluid, boosting your blood volume (which reduces cardiovascular strain) so you can maintain your performance for longer. Drink before and after periods of intense, sweaty activity. Informed Sport / Informed Choice certified. 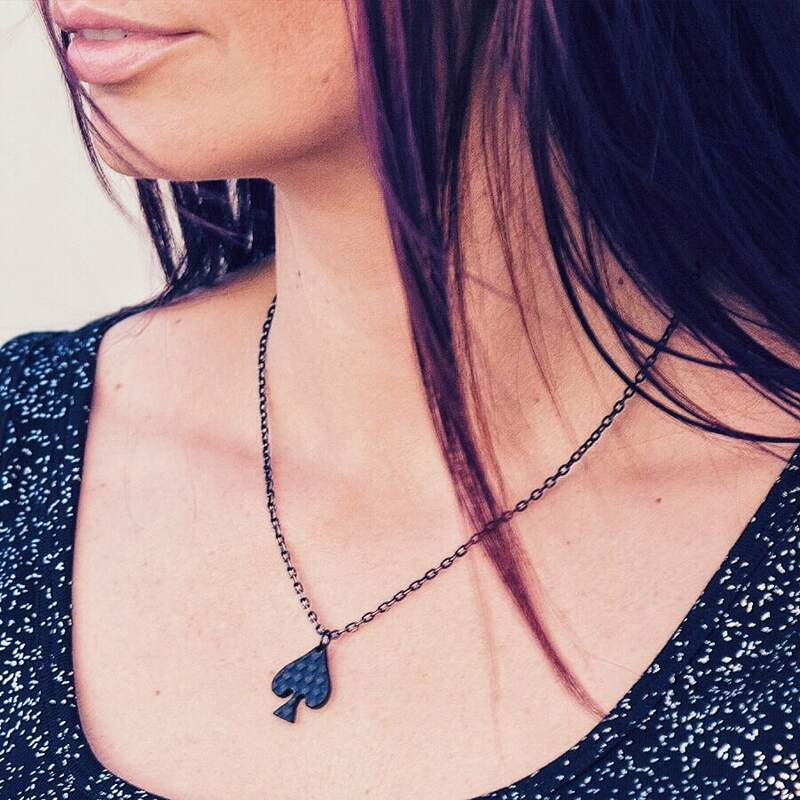 All-natural, easier on the stomach and fast absorbing. Suitable for vegetarians and vegans and they’re gluten, dairy and GMO free. Take our free Sweat Test for a Personalized Hydration Strategy tailored to what you’re training for. 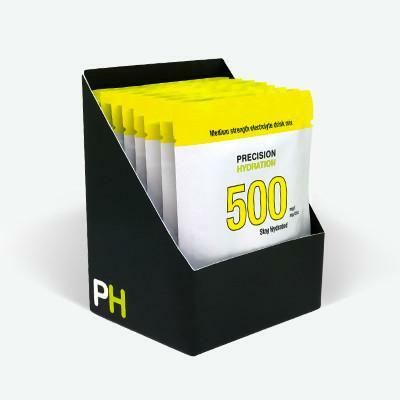 PH products are independently batch tested to certify them free from contamination with substances on the WADA anti-doping list and this product is on the Informed Sport / Informed Choice program. Ingredients: Sugar, Trisodium citrate, Citric acid anhydrous, Vitamin C (ascorbic acid), Potassium citrate, Natural flavoring, Calcium lactate gluconate, Magnesium citrate. No Artificial Flavors – No Artificial Sweeteners – Gluten Free – GMO Free – Vegetarian – Vegan – Dairy Free – Nothing you don’t need. 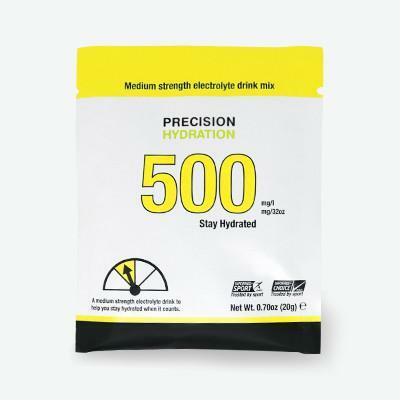 Precision Hydration products should always be consumed as part of a balanced and varied diet. 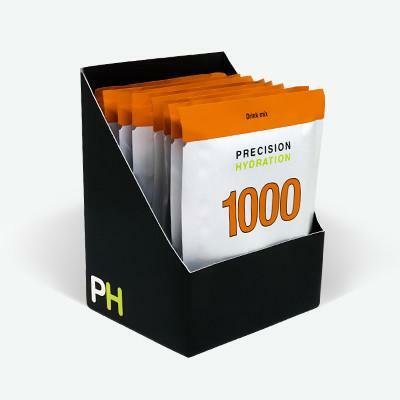 Precision Hydration products are independently batch tested to certify them free from contamination with substances on the WADA anti-doping list. 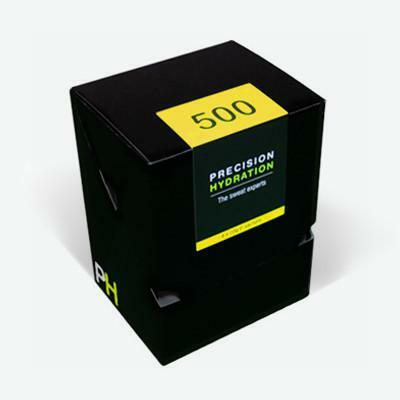 Manufactured in the UK for Precision Hydration Ltd.